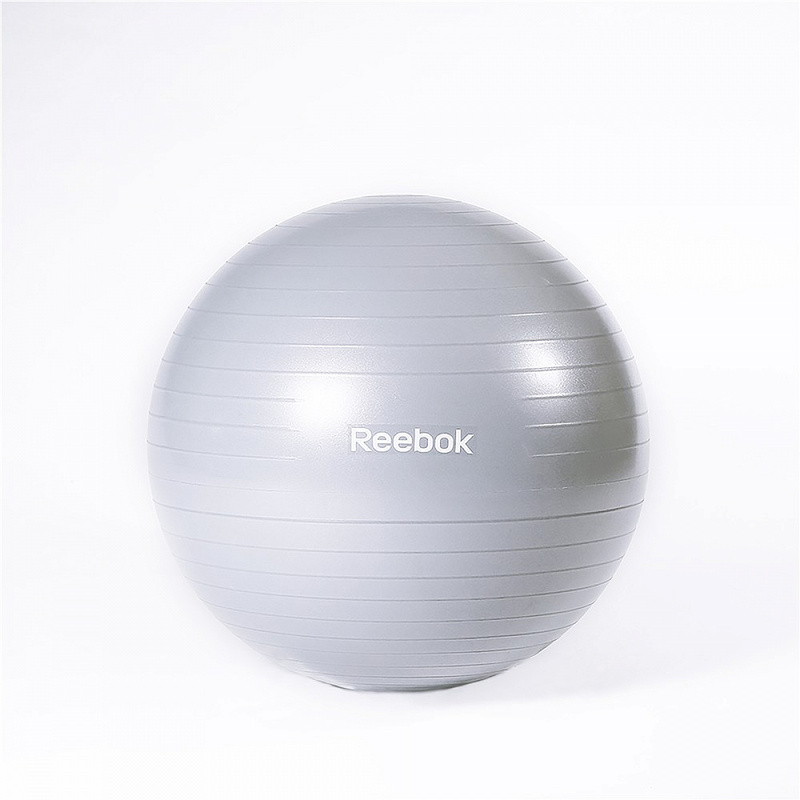 The 55cm grey Reebok Gymball is one of the most versatile pieces of exercise equipment for improved all-round fitness - the gymball can be used to perform a wide variety of exercises which will considerably improve your core strength, posture and flexibility. The 55cm Reebok Gymball has been manufactured with a high-density rubber to ensure longevity, and is suitable for those between 155cm and 167cm (approximately 5'1"-5'6"). Selecting the appropriately sized gymball for your height is extremely important in ensuring you get the most of out of your workout. By observing the '90 degree rule' (where both feet are planted on the floor and knees positioned a little lower than the pelvis, making a 90 degree angle), you'll discover your ideal gymball size. Supporting your ab crunches, tricep dips and planks, the grey gymball features anti-burst technology, meaning if the ball happens to puncture during your workout, it will slowly and safely deflate to avoid any possible injuries. Every Reebok Gymball ships with its very own kit including the fundamental pump. And, if you're in need of a little inspiration to kick-start your gymball workout, this gymball comes complete with its very own workout DVD.